Hello and happy Friday friends! 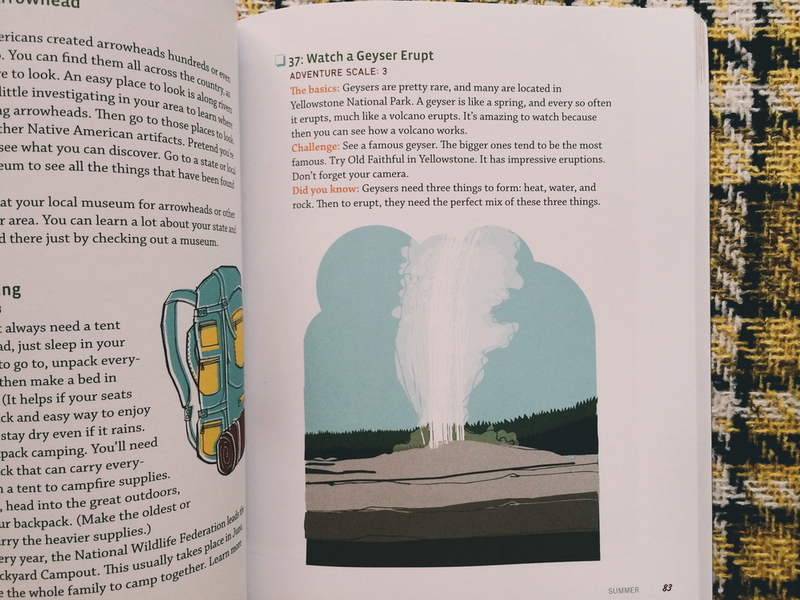 I was going through old draft posts and realized that I forgot to share a great book I bought this summer called The Kids Outdoor Adventure Book. This book also came to mind yesterday when I was making a check list for a weekend winter yurt trip we're taking at the end of the month (more on that later). 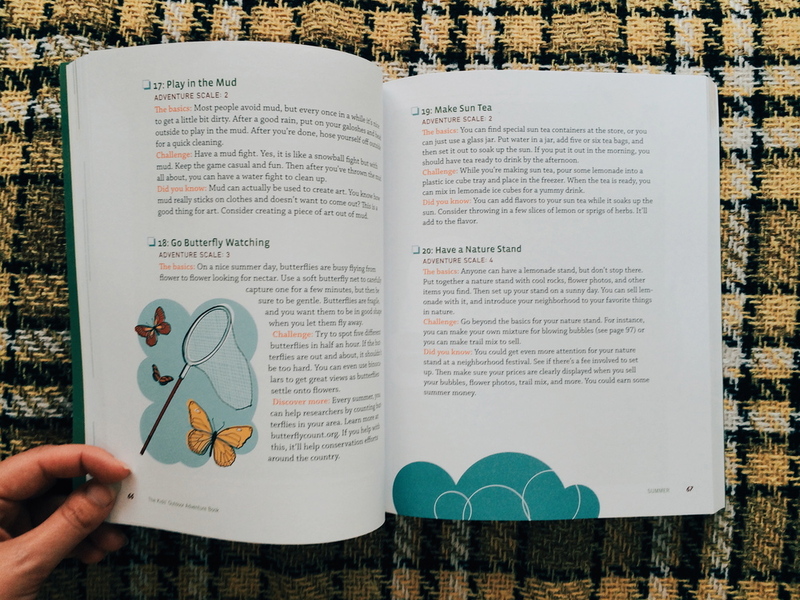 The 448 "Great things to do in nature before you grow up" are divided into seasons. Living on the Canadian Prairies, I especially appreciate tips that will help us keep connected with our environment during the long winter months. I kept this book in Eggie during the summer and read it with my morning coffee. The illustrations are a nice touch that made the book more interesting for Luke to browse through (he is 8). Although a lot of childhood favourites are in there, I found so many things I'd still love to do and share with my kids. We totally checked off #37 this summer.